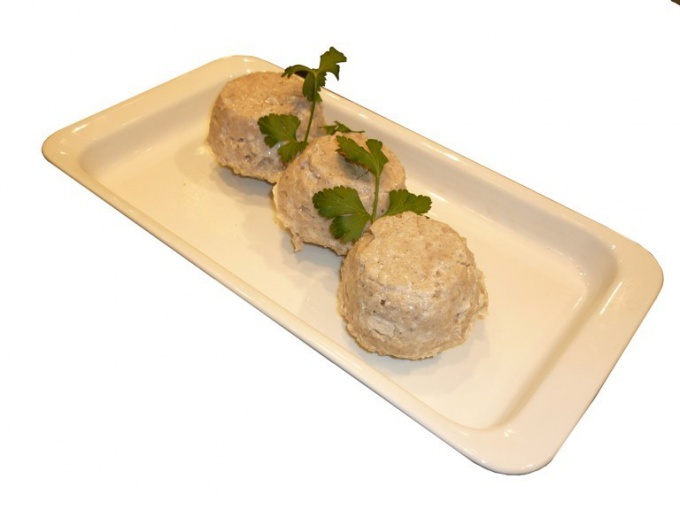 Minced meat steamed, or steam cakes is a great way for those who are prescribed to increase the content of hemoglobin in the blood and steak blood, they can not tolerate. The fact that prepare steam cutlets no more than 15 minutes, maintaining the necessary amino acids. Steam cutlets is also good for small children because they do not need to chew. Fifteen minutes of steam can be organized without a double boiler. Cut the crust from the bread, Necrolyte it and soak in warm boiled water or milk. Peel and chop onion, scroll in a meat grinder. Put the mince into a bowl, add egg, onion and lightly pressed bread. Mix all ingredients, add salt, pepper and again mix thoroughly. Form small round patties. Pour into a wide and deep frying pan with a little water. The water level should not exceed the height of the plates or metal inserts with holes. Bring water to boil, place on a plate or insert cutlets are not very tight, given that it will stand out juice and it should be enough space on the plate. Put the plate with the cutlets into the boiling water, cover the pan, reduce the heat and proprivate for fifteen minutes. If you have a metal insert, put in boiling water first plate, which will drain the juice, and it insert with fingers. After fifteen minutes, remove the pan from the heat, push insert, wait for it to cool the pan and remove the plate with the meat juice. Serve cutlets freshly prepared, the juice can be watered garnish. Soak in milk white bread and lightly press. Grind in a meat grinder chicken, onions and soaked bread, then pass the meat through a meat grinder again. Add salt, rest of milk and mix well. Moisten hands with cold water and form patties, place them on a plate or box, leaving enough empty space between them. Put on the fire a frying pan with a small amount of water, bring to a boil, put in it the dish or box with the meatballs, cover, reduce heat and cook for fifteen minutes. Onions, which is not always fond of children, you can substitute grated nutmeg or dried Basil.